Cryptic reports have surfaced that Porsche is going to unveil a "new, small sports car" later this month at the LA Auto Show. But what is it? A sub-Boxster? A small SUV? A V8 coupe? No way doofus! 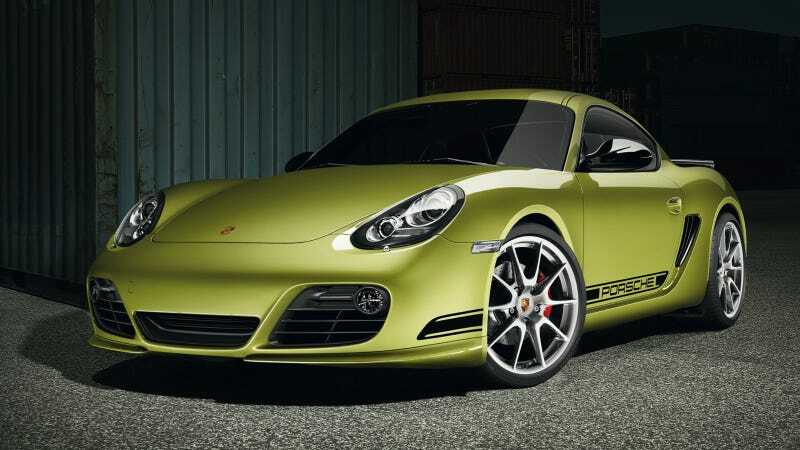 It's the new Cayman, you silly goose! How do we know? Consider it a pretty great hunch. Porsche has shelved plans for a smaller, sub-Boxster sports car and the Macan small SUV is not ready to make its debut yet. A production version of the Panamera Sport Turismo is still a ways off and a 928-esque Panamera Coupe isn't coming anytime soon. Their other small sports car, the Boxster has been out for nearly a year, so an all new version of that wouldn't make any sense at all. Add in the fact that the 911, Cayenne, and Panamera are all relatively new, and you're left with a simple answer: Brandidily new Cayman. And if it looks and drives anything like the new Boxster, Porsche is going to have one hell of a good car on its hands... and one less reason for people to buy a 911.